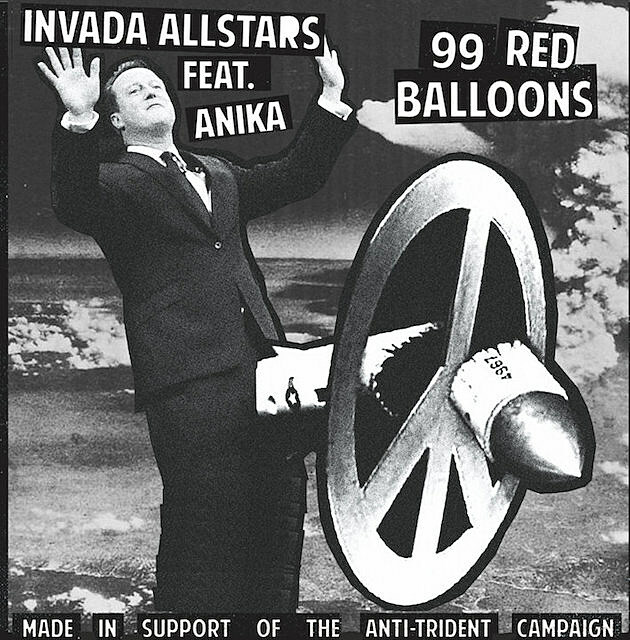 Invada, the label run by Portishead’s Geoff Barrow, has just released a single featuring Anika covering Nena’s 1984 anti-war hit “99 Red Balloons” with backing by the Invada Allstars. The single has been released as part of this weekend’s anti-nukes Stop Trident National demonstration in London which is protesting the renewal of Britain’s nuclear weapons system. Who, exactly, the Invada All Stars are remains a secret, but the song was recorded at Invada Studios in Bristol, UK and takes a low-tech electropop approach to the song which matches well with Anika’s icy delivery. Proceeds from this digital single will go to the Campaign for Nuclear Disarmament (CND). You can stream the song below. Anika, who hasn’t released a record since 2013, has a new band called Exploded View who will release a single in March and their debut album later in 2016 via Sacred Bones. Exploded View will play SXSW, so if you’re going, keep an eye out.